The say your home is your castle, but what does that mean? Most days I don't feel like the place I call home is any sort of castle, but it does feel like home. I'm comfortable there and not just because my stuff is there, but because the place reflects my husband and me. We've been here for nearly two years and have made a lot of updates to this 91 year old three bedroom house on a busy street. Making changes takes a lot of work and projects don't always go as quickly as planned. Recently, I started choosing not to stress over decorating every single room. I felt defeated when I'd walk into part of the house that was not "pretty," meaning it didn't have anything hung on the walls or floorboards and trim were missing. It was draining my energy. Seeing unfinished corners made me feel like a failure. I'd think my home didn't "measure up." But what was I measuring it against? Pinterest photos or homes I'd actually been to? One of my favorite parts of our home is the mantle. I'm thankful to have a place I can decorate for the seasons or holidays when I feel like it. In two years, we've made a lot of progress and that's what I have to remind myself about. We installed new windows in the kitchen, along with cabinets and a counter top. Last year, we gave the bathroom a makeover. We replaced the ceiling and painted the living room. And just a month ago, got the guest room in order. Have you ever had to give yourself grace when it comes to your home? P.S. Don't forget! 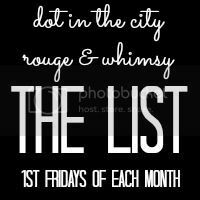 Tomorrow Erika & I are hosting "The List", where you can link up your list style post. The linkup happens the first Friday of each month. Share your favorite things from the past month and what you're looking forward to in the new month. It doesn't have to be fancy, it doesn't have to be long, it can just be what the link-up is: a list. 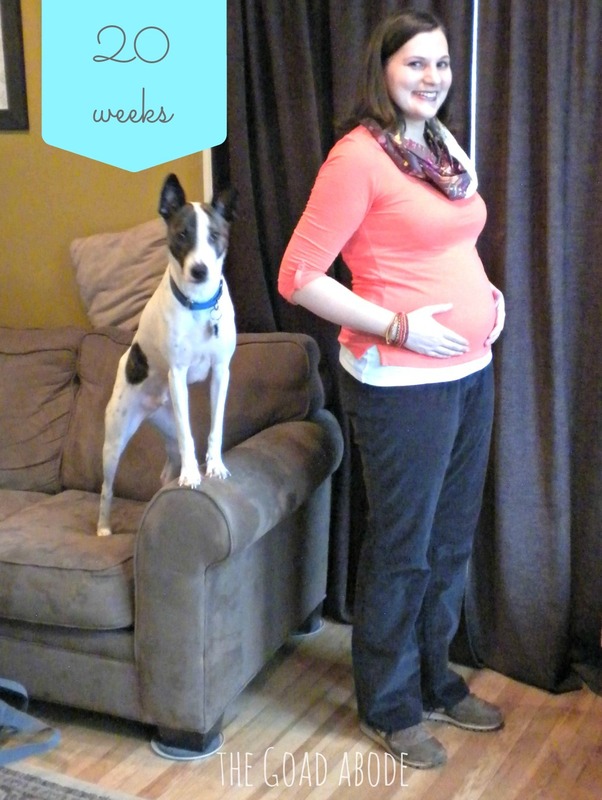 People often ask me if I've had any cravings or what I've been craving throughout my pregnancy. I honestly haven't craved much. I was on a bit of a grapefruit kick for a few weeks earlier this winter and I tend to eat more meat than my usual, but I haven't had a consistent desire for one certain thing, which is what I was expecting. I can't even say I have a crazy sweet tooth, which I was totally expecting (but when do I turn down sweets, anyway?). Today, I have a treat for you. A treat that will make you want to bake a treat, actually. 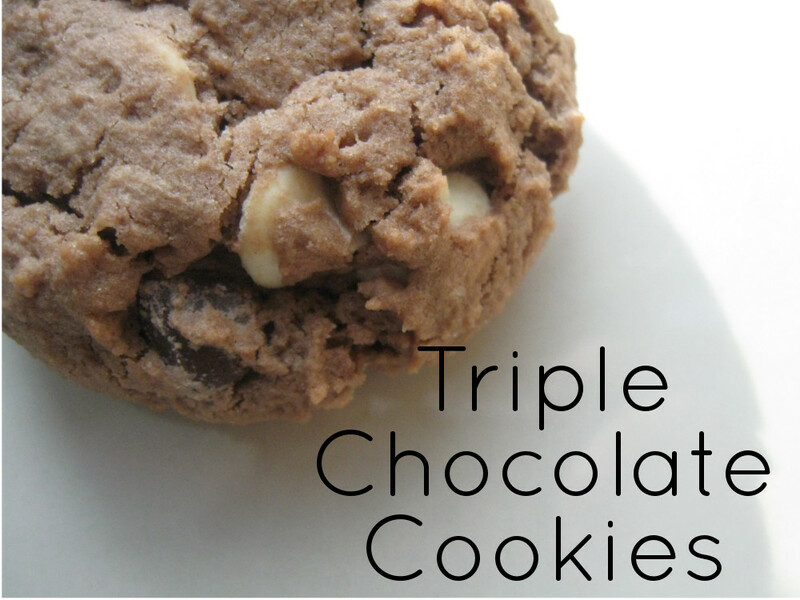 Kristen is here to share a tasty recipe for triple chocolate cookies. Need I say more? Hello, readers of The Goad Abode! I'm Kristen from Milo and Molly, and I have an Etsy shop of the same name. I'm really happy to be here today! I feel really fortunate to be able to stay home with my two kids, who are three-and-a-half and one. That being said, because of that, I find that I spend a lot of time in the kitchen. My son, being that he's older, especially loves to help out in the kitchen, so I'm always trying to come up with something fun for us to make together, but easy enough to allow him to help me, which in turn helps him learn how to cook. He's already mastered cracking eggs, but his favorite part is licking the bowl, which is a necessary skill to becoming a good cook. Obviously. One of my favorite recipes to make with him is one I got from my mother-in-law, who is the best dessert maker ever. She always has the most decadent desserts going, and there's no shortage of them. Luckily, she's happy to share the recipes. I always try to keep the basic baking ingredients on hand so we can make something whenever the mood strikes. These chocolatey cookies are a wonderful winter treat that go well with a cup of coffee or a glass of milk. Heat oven to 350 degrees. In large mixing bowl combine butter and both sugars. Beat with wooden spoon or mixer until the mixture well combined. Add the egg to the mixing bowl and beat well, until the mixture is light and fluffy. In a medium mixing bowl, combine flour, cocoa, baking powder, baking soda, and salt. Gradually add the dry ingredients into the large bowl. Mix until just combined. The dough will be stiff. Add the chocolate chips and nuts and mix until thoroughly combined. Roll by tablespoons into balls and place on baking sheet about 1 1/2 inches apart. Bake for about 15 minutes. Let cool on baking sheet for 5 minutes, then transfer them to a wire rack to cool completely. Makes about 24 cookies. These are quick and easy and one batch makes a lot, so I end up keeping some out and then freezing the rest. They are excellent when reheated in the microwave for a few seconds, too. You can also change up what you add to them- sometimes I do dark chocolate instead of semisweet, or not add the nuts. They do get crumbly pretty quickly, though, so make sure you double-Ziploc bag them or put them in a sealed container. I hope you'll give them a try, and I hope you'll come by and say hi! You may have seen my Instagram post over the weekend or a few annoyed tweets over the past few months and knew this day was coming. 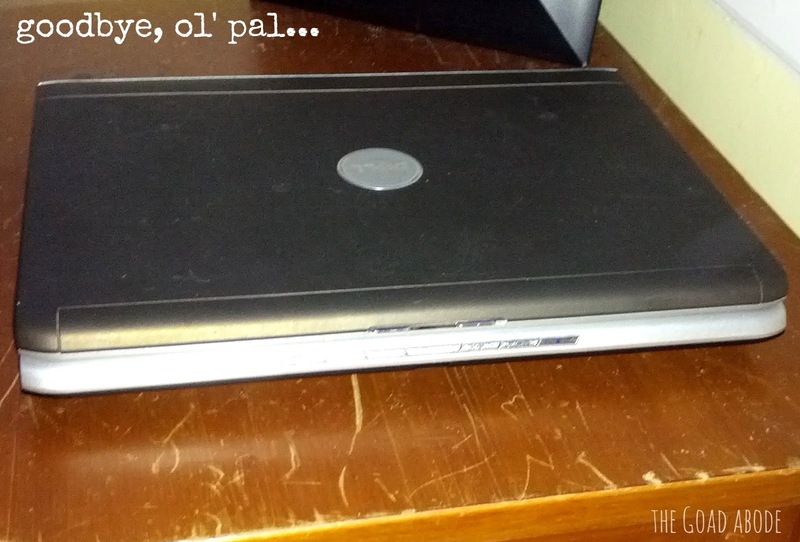 My old Dell laptop has been dying slowly. Since last fall, I've gotten the blue screen on a number of occasions and at the most inconvenient times. I tried to be patient and let her run her tests or reboot, often praying she would come back to life, mostly because I had neglected to back up most of my photos and files (oops). Not to mention, as a blogger I rely on my laptop to connect with others. I have yet to figure out blogging from an iPad and there has been more than one moment I wondered if I'd be able to write consistently. In moments of uncertainty, I borrowed my husband's Chromebook for blog business, but knew the day was coming for the laptop to be replaced. Over the weekend, we replaced the ol' computer with a shiny new MacBook Pro. I seriously still can't believe I own a such a machine. Until my mother-in-law gave my an iPad last spring, my iPod was the only piece of Apple technology I had owned. I have been gradually learning more about the wonderful world of Apple products. 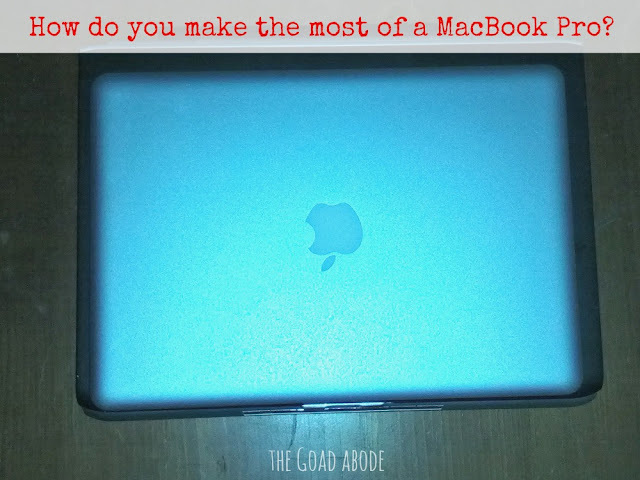 Now that 've joined the ranks of a Mac users, I need your advice and tips. Leave your suggested programs, tips or favorite features in the comments. I want to make sure I am bonding with my new pal properly-- thanks in advance! As I mentioned a few weeks ago, I've been wearing a combination of my regular clothes, along with a smattering of borrowed maternity clothes and some other pieces I've purchased a size up from my regular size. The clearance racks are my best friend when it comes to outfitting the bump. Whether it's the maternity section or regular ladies' clothing, I start with the clearance racks and sift through, looking for basic and timeless pieces. I recently felt like I hit the jackpot when I came across this black dress for $10.99. I paired a different belt with the dress than the sash it came with and I love how the adjustable belt allows plenty of room for my growing baby bump. Perhaps my favorite thing about the dress is that it has long sleeves. Lately, I've noticed so many maternity (and non-maternity tops) have 3/4 length sleeves and that leaves me with numb wrists while I'm at the office. Does that ever happen to you? You're sitting there typing/doing your work only to realize you can't feel your wrists anymore. Long sleeve dresses/tops have become a must for me. I can't stand having numb wrists. 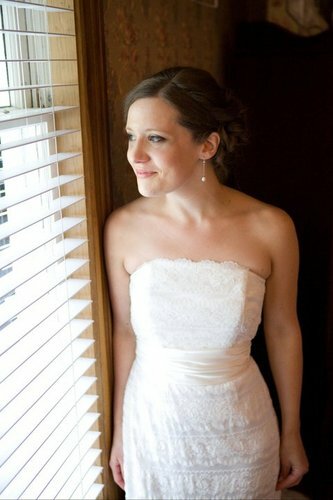 This dress is perfect since the sleeves unroll. 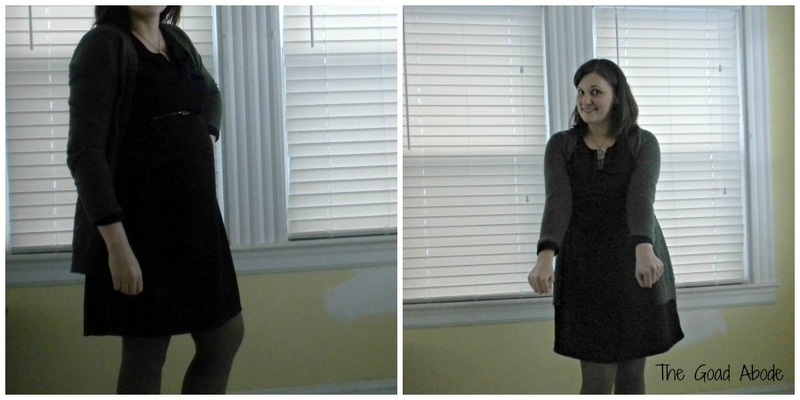 As you can see, I enjoyed wearing the dress will its full-length sleeves and even added a sweater. Once the weather warms up, I can roll the sleeves (as the dress is shown on the Old Navy website) and shed the tights and sweater. It's a pretty versatile piece I look forward to wearing for months to come. For now, the full-length sleeves will keep my wrists warm. What versatile pieces do you love wearing from your wardrobe? A little list of a few things you may want to give a whirl this weekend...and I think I'm gonna do the same! Don't miss these ideas for how to get more wear from your favorite holiday dress. 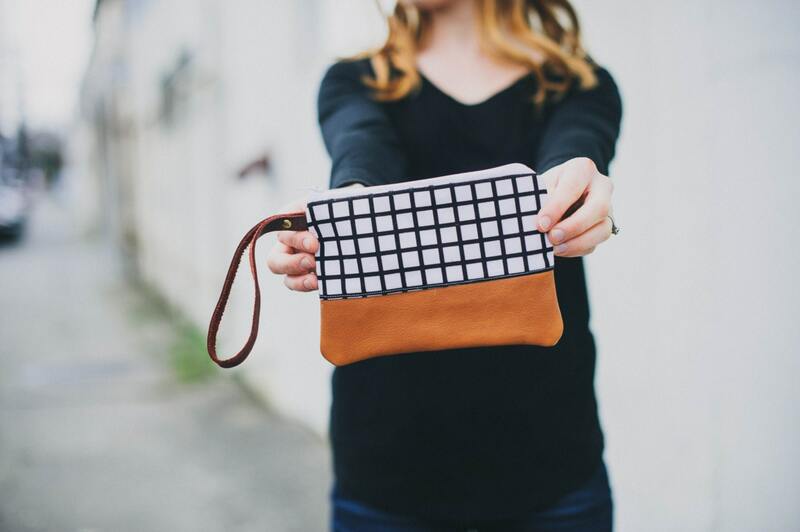 Have you entered the giveaway for a handmade leather-bottom clutch from Rouge & Whimsy and hand-drawn note cards from Bow + Arrow Art this week? I love a good chicken salad and this recipe calls for Greek yogurt...hoping this is my weekend to try the recipe. Kristen has been on fire with the book recommendations, but I also appreciate her challenge to not get too relaxed with the clothing you wear (i.e. sweatpants every day). I would love to work with you next month! If you want to grow your blog or shop, consider the sponsor options. As of Friday, I'm 20 weeks pregnant. Could this truly be the halfway point? I really don't know, but if I had to guess I would say no. My brother and I were both more than a week late, so I'm not planning on having the baby arrive early (I would just rather not set myself up for disappointment, ya know?). And since the snow has lingered (and we've gotten a few inches more...but who's counting? ), I'm sharing some photos taken inside. The only redeeming thing about these less then stellar photos, is that Milton jumped in on the action. He needed some attention, I guess. Seriously, our dog wouldn't get out of the way. I mean, he usually just curls up on the couch or chair, but I guess Saturday morning is as good a day as any to strike a pose. He's the best and I kind of can't wait to see what he does when baby G arrives. Thankfully, he did well last summer when our friends watched him for nearly three weeks and they had a four month old at the time. How I'm feeling: I feel pretty good. I find my feet are hurting a bit more when I stand for longer periods of time, so I'm trying to be cognizant of that and sit more, but not sit too much...what a balance! Sleeping: I'm sleeping fairly well, just using more pillows than usual. Food cravings: Fruits and veggies. I can't get enough granola or cereal with blueberries and/or bananas. And yesterday I made myself the most delicious salad of spinach, chic peas, hard boiled egg (not normally something I'd come up with). Doctor's appointment: We had one last week and everything looked great. We had an ultrasound where we could have found out the gender, but didn't (much to my mother-in-law's chagrin). Movement: I've been feeling movement more and more. Sometimes it feels like my tummy is growling and other times it's a quick jab here or there. Gender/Names: We are pretty settled on a girl's name, but haven't settled on a boy's name. But since we're NOT finding out, we have about 20 more weeks to mull it over. What I did / got for baby: We've gotten a few sweet gifts in the mail lately. My favorite is a onesie like this one from an Simply Kiki with the Colorado state flag on it (sent by my college roommate). I am so excited to dress him/her in it and show some Colorado pride! 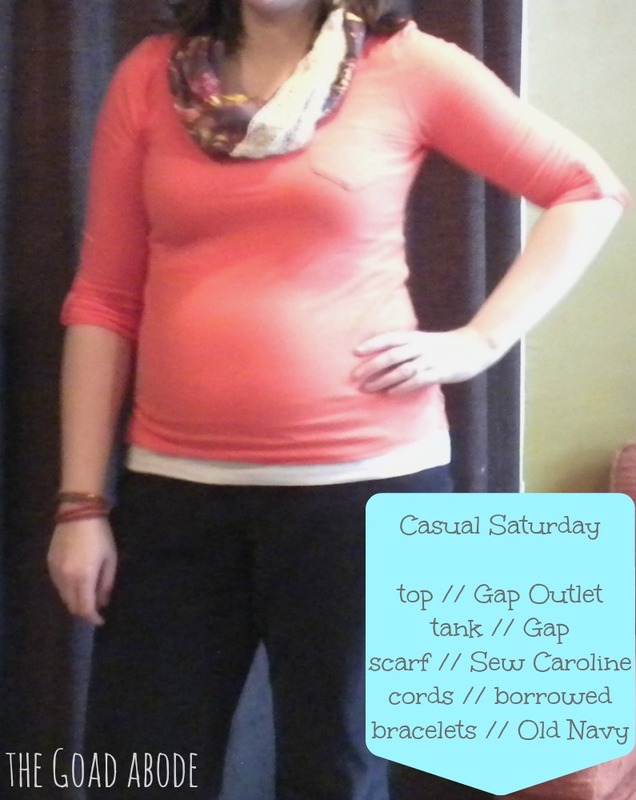 What I'm wearing: Sweatpants at home, maternity pants to work (it's just been too cold for leggings/tights with dresses). On top, I mix it up with longer tanks I wore pre-pregnancy and a few non-maternity tops one size up (my shoulders seem to have spread). I'm also wearing a few maternity sweaters/tops. What I learned this week: I really enjoy any beverage that isn't water. I'm trying to stay adequately hydrated with lots of water, but I also really enjoy drinking a seltzer or ginger ale every once in a while. 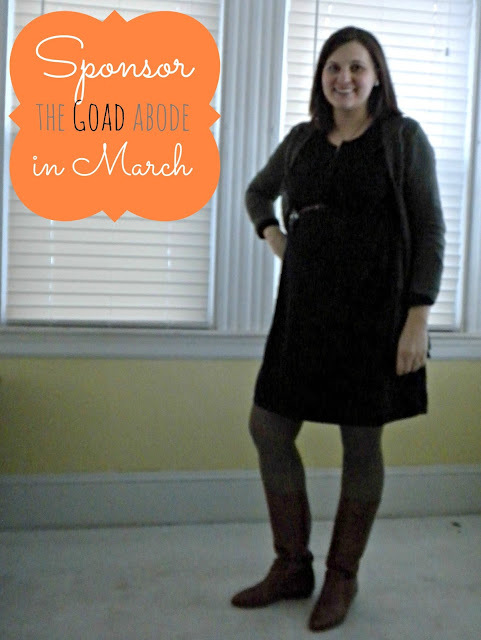 I'm linking up with Lindsay for What I Wore Wednesday. And don't forget to enter the awesome giveaway going on this week! 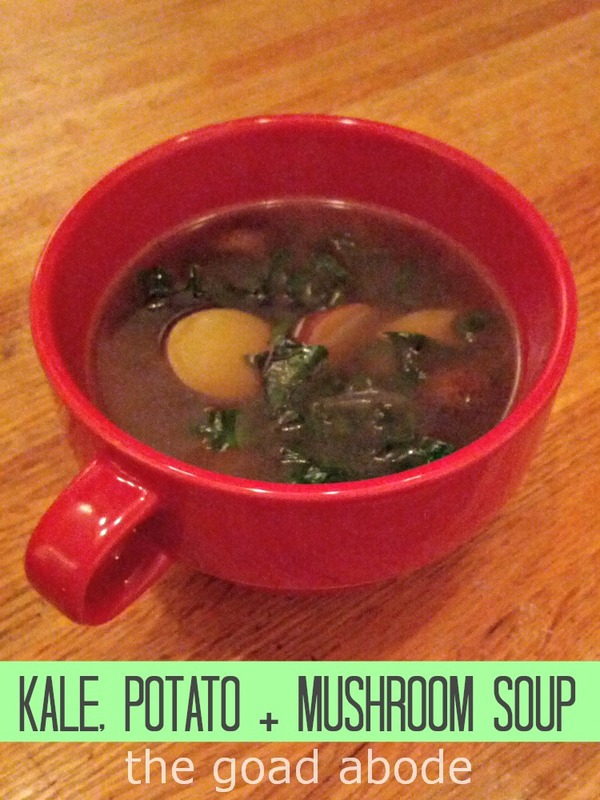 During the blizzard last weekend, I had the perfect opportunity to make a simple and tasty soup using ingredients we had on hand. Thankfully, we've been keeping broth on hand and lots of vegetables, so it was easy to throw together this tasty soup in about 25 minutes. Melt butter of medium heat in large stock pot and add onion. Soften onion and add mushrooms, cooking for about 5 minutes. Add broth to stock pot and bring to boil, increasing heat to medium-high. Once broth is boiling, add potatoes and cook until soft (about 12 minutes). Reduce heat to medium and add kale, cooking until kale is just wilted (about 3 minutes). 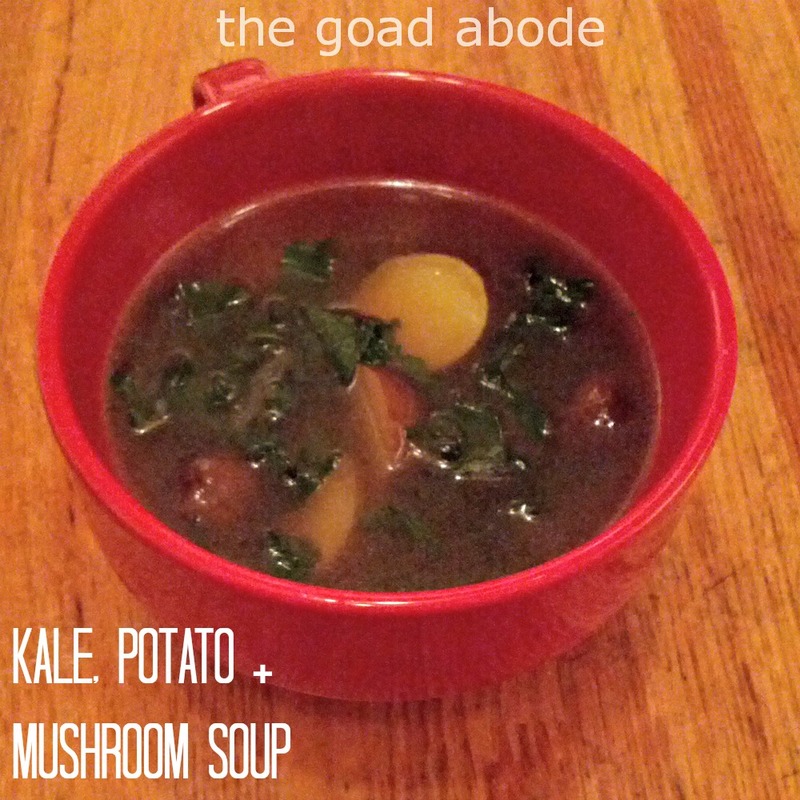 Serve immediately (so kale doesn't get overcooked and lose its flavor). Have you made any soups lately? 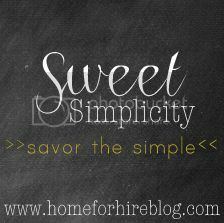 Today, I'm co-hosting Sweet Simplicity with Nicole of Home for Hire. Happy Monday! Today is President's Day in the United States. I love US history and any movie about a president. Over the past few weeks I've gotten sucked into ABC's drama Scandal first on Netflix and then Hulu Plus. As intriguing as the TV show can be (Huck is my favorite character), I am so thankful it isn't what's going on in the White House. So, who is your favorite US President? I have to go with the typical Abraham Lincoln. After watching the move "Lincoln," I was just in awe of his commitment to the Emancipation Proclamation. As for favorite president... I never really thought about having a fave before :) But I did read that George Washington refused to take his salary. Which I think is really cool and admirable. So I'll go with him! 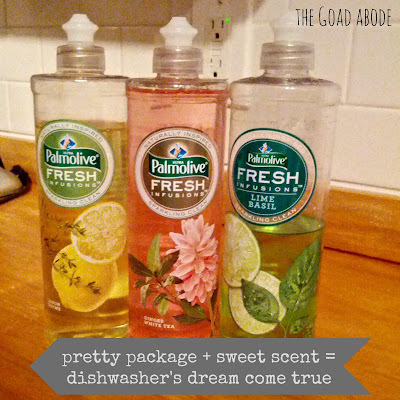 Thanks to Influenster, I have been enjoying Palmolive's Fresh Infusions' dishwashing soap for the past few weeks. I received three full size bottles in great scents: lemon thyme, ginger green tea, lime basil. They scents aren't overpowering, but leave sweet smell in the kitchen (or wherever you do your dishes). When the package arrived and I opened the box, I was surprised they sent me not one or two, but three full-size bottles, along with two coupons. I love handwashing my dishes with this soap because it cleans them well. There's also a subtle scent that lingers when I've finished washing my dishes. As you can see, it looks like I'll be using my coupon to buy more Lime Basil Palmolive Fresh Infusions in the near future! I had ideas for a great 20 week/half baked blog post to go up today, but I didn't plan for pictures (oops). And I also worked late last night/early this morning. 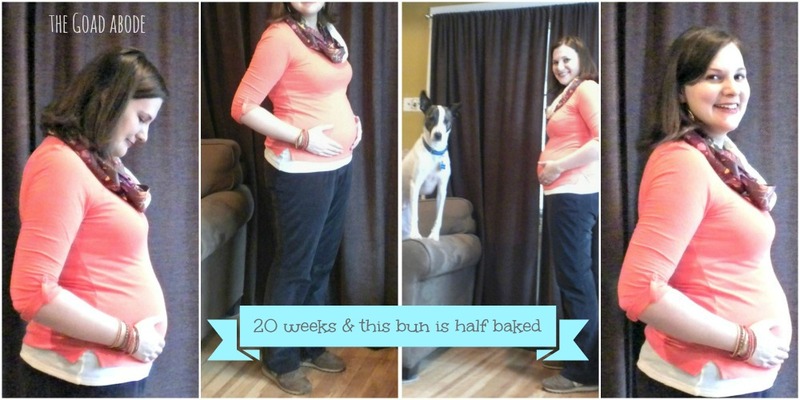 Don't worry, I'll be sure and get some this weekend to document the "halfway" point of pregnancy. 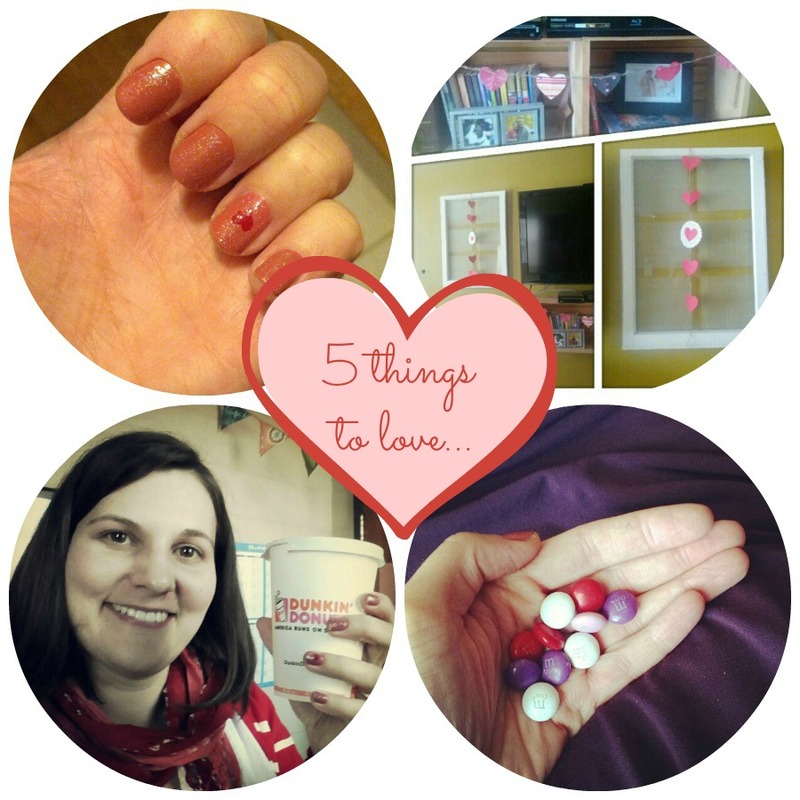 But for now I leave you with some Valentine's inspired images and five things I love this week! 1- If you haven't seen Disney's latest film short, Paperman, take six and watch this. It's seriously cute and even though I saw a few shares on Valentine's Day, it's still worth the watch. 2- I tend to hold my stress/tension in my back, so I want to try some of these stretches. 3- As evidenced by the new blog design, I can't get enough coral lately and this coral collection from Twillypop is perfect for making me think happy spring-like thoughts! 5- I've had an obsession with onsies this week. 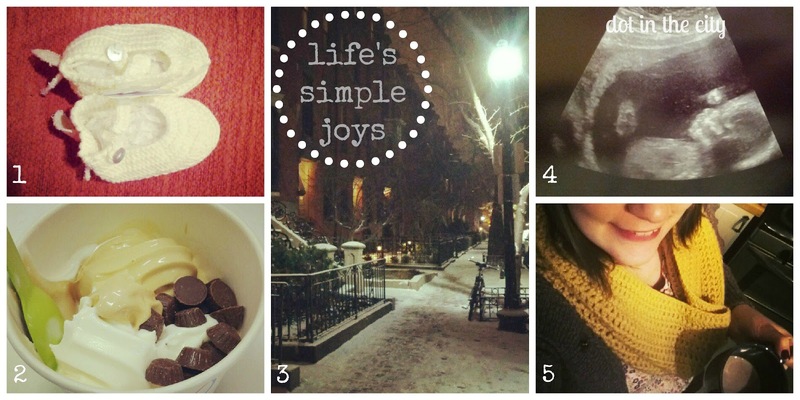 Whether it's on Instagram or Etsy or blogs, I keep finding ones that are so darn cute. 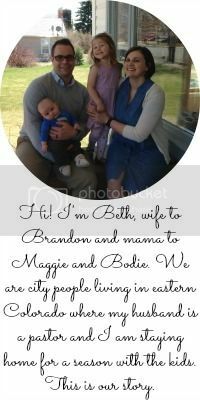 You probably know this if you follow me on Pinterest and have seen them popping up on my baby G board. This DIY from For the Love of... is my favorite at the moment. As the Lenten season begins and today is Valentine's day, I find myself in a reflective mood. I also had a few days off from the snow storm earlier in the week to catch my breath more the usual. It allowed me to think about what, if anything, I'll do to observe Lent. Growing up, Lent was not something my protestant family celebrated but as I got older I was introduced to various ways to observe it. I heard friends talk about giving up something they loved like soda or junk food. Others added something to the forty day period, like spending more time in God's word or acts of service. Over the weekend, church was canceled due to blizzard cleanup and going into a new week I felt a bit out of sorts. Just last week during community group, I had lamented about not being able to get into a routine since I left the house at various times and how that added to my struggle for a daily quiet time. But I didn't want to make excuses. I felt defeated each time I opened my YouVersion app to see I was behind on my current reading plan. While rearranging some things in the living room on Sunday, I sifted through old journals. They reminded me of how I used to spend more time reflecting on the things I read. I also considered the many devotional books collecting dust on the shelf. The time off on Monday and Tuesday gave me the chance to dive into one of my favorites, Devotional Classics. I probably won't be able to spend 30-45 minutes at the start of each day reading the devotional and reflecting on it appropriately, but I can give myself some grace. Yesterday, I read the third devotion when I got home from work and was grateful I took the time to let the words of Jonathan Edwards wash over me. As I sat writing out my answers to the reflection questions, I didn't feel pressured to write a lot. Whether I start my day with reading the a multi-page devotional or simply praying, I want to be focused on things above rather than rushing out the door. I have so much to be thankful for and I really don't take time to reflect on it often enough. Remember when God provided a second car last fall? It was so helpful for my husband's commitments. About three weeks ago, he started a new job and we no longer need two cars for our weekday routine because he can take public transportation. The new job is more mentally challenging and he gets to use his counseling skills, perfect preparation for pastoral ministry. Since I've been working out of the guest room a lot lately, I've been sitting at this old secretary's desk. It was my grandparent's and I'm not really sure how old it is, but I'd guess it's at least fifty years old. 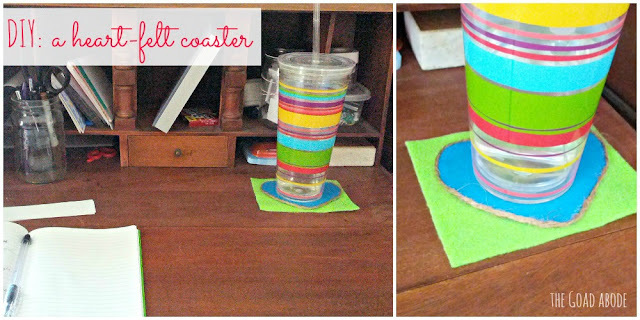 Sitting there with a cup of tea makes me a wee bit nervous and I decided I need a coaster for the spot to protect its pretty wood surface. 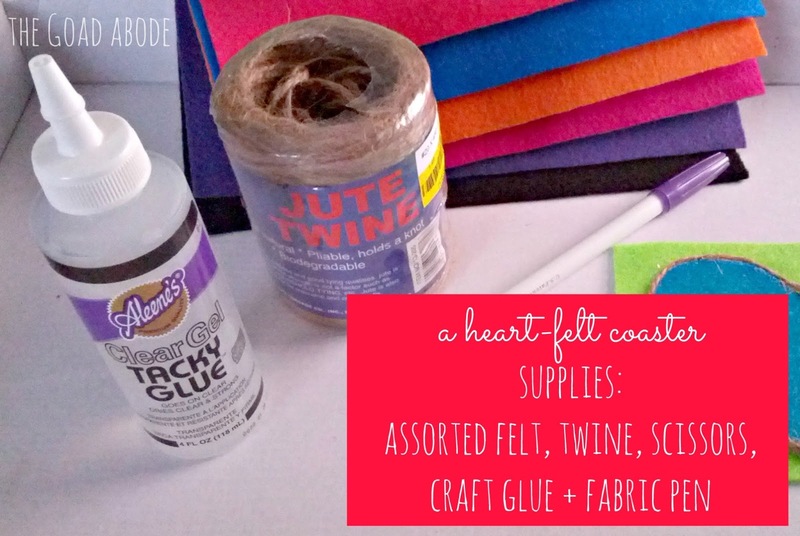 I wanted to make something quick and simple, so I scanned my craft supplies and chose felt and twine as my main materials. >> With Valentine's day around the corner, a heart seemed logical, so I drew heart large enough for a mug to rest on. 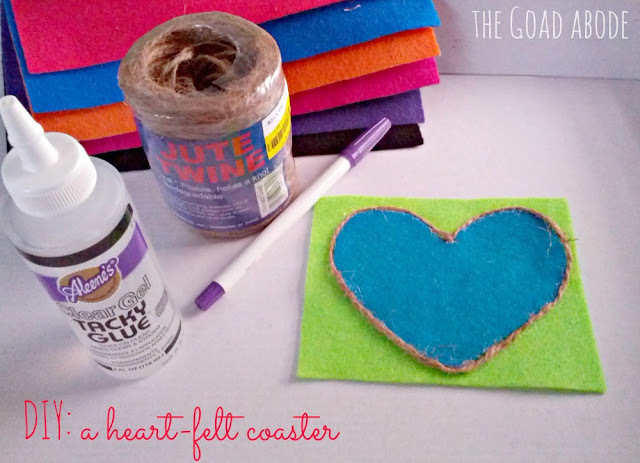 >> I cut out the heart shape and then I chose a contrasting color to mount the felt heart on. >> I used tacky glue to adhere the two felt pieces together. >> Lastly, I traced the outer edges of the heart with glue and then put twine around the heart to give it a more finished look. Please don't hate me, but I'm home from work for another day due to Nemo/blizzard cleanup. It would be quite fitting for me to insert an outfit photo in today's post, however I need to be honest and tell you I haven't been wearing outfits (not to mention taking an outfit photo outside is less than ideal)! The good news is that I have been getting dressed, I just wouldn't really classify leggings and long sweaters as outfit worthy when I have barely left the house since Thursday. On Friday and Saturday I wore the exact same thing and didn't even leave the house. Oh wait, I did get a picture of that 'outfit' to document hitting 19 weeks. Thank you, Instagram! Now that I confessed a bad habit that can develop from being cooped up in the house for days on end, I do have a special treat for you today. My friend, Ginna of My Pretty Pennies, a lifestyle blog with a focus on frugal living. I really love her take on shopping (read on!) and will have to keep this idea in mind next time I'm perusing the stores. Take it away, Ginna! I've become a little schizophrenic when I go shopping. I look at an article of clothing, like a sweater, and ten thoughts start running in my head simultaneously: Do I like this? Is this timeless or trendy? Will it be out of season next year? Is it worth buying for just one season? Do I have something to pair with this in my closet? How many outfits could I make with this? Is this worth buying? I wonder when this will go on sale? Will I regret not getting it if I leave? One thing I like to consider, that normally answers all those questions, is called "Cost per Wear." Have you ever heard of it? 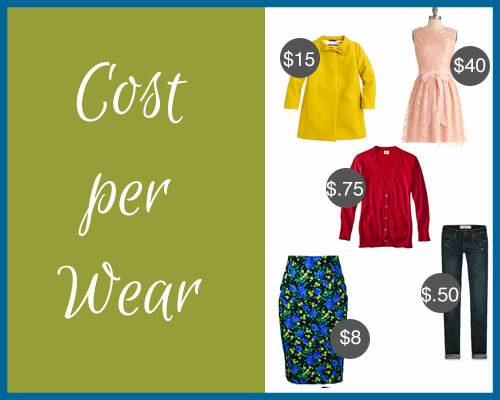 You basically take the total cost of the item you're buying and divide it by the estimated times you will wear it. Let's take your all-time favorite designer jeans: You got them on sale for $60, but that still seemed like a lot of money to spend at one time. You wore them at least twice a week for a whole year. After a year, divide the number of times you wore them (about 105), by the original amount, which means it cost just $0.57 each time you wore them. Not bad for designer jeans! On the other hand, you also bought some cheaper jeans that were only $30. You wore them a few times, but found that at the end of the day they would stretch too much, weren't very flattering and didn't fit that well. You ended up wearing them a whopping five times before ignoring them at the bottom of your drawer and opting for that nice-fitting pair. Those cost you $6 each time you wore them. So even though they were cheaper, it cost more money in the long run because they didn't last. Now, I'm not arguing that you only need to buy expensive, quality clothes all the time, but I do think it's important to think about the way you shop. For me, it's hard to justify spending a lot of money on one thing, so I tend to skimp out and get the cheapest option. But then I find myself replacing them more often and having a closet or dresser full of clothes I don't love. -- Learn more budgeting tips at Ginna's class "Basic (non-scary) Budgeting" on the Influence Network Feb. 20th at 9:00 EST/6:00PST. Ginna Neel is the writer behind My Pretty Pennies, a lifestyle / personal finance blog inspiring women that you don't have to be rich to live a rich life. You can follow her on Twitter, like her Facebook page, or follow her photos on Instagram for the latest updates, resources, and a peek into her life in Raleigh, NC, with her husband and puppy. For more financial tips, check out her 31 Days to Financial Freedom series. We survived the blizzard called Nemo that hit the Northeast U.S. over the weekend (I had no idea they started naming winter storms until this thing hit). It's hard to say exactly how much snow fell in our city because of the crazy winds that made huge snow drifts, but I think it was about two feet! The snow started falling on Friday around 9am and didn't stop until Saturday around 11am. Friday night my husband went outside with a tape measure and there appeared to about a foot of snow on the ground. On Friday, the governor of Massachusetts issued a travel ban. Only emergency personnel were permitted on the roads between 4pm Friday and 4pm Saturday and those violating this would be fined $500. Eek! 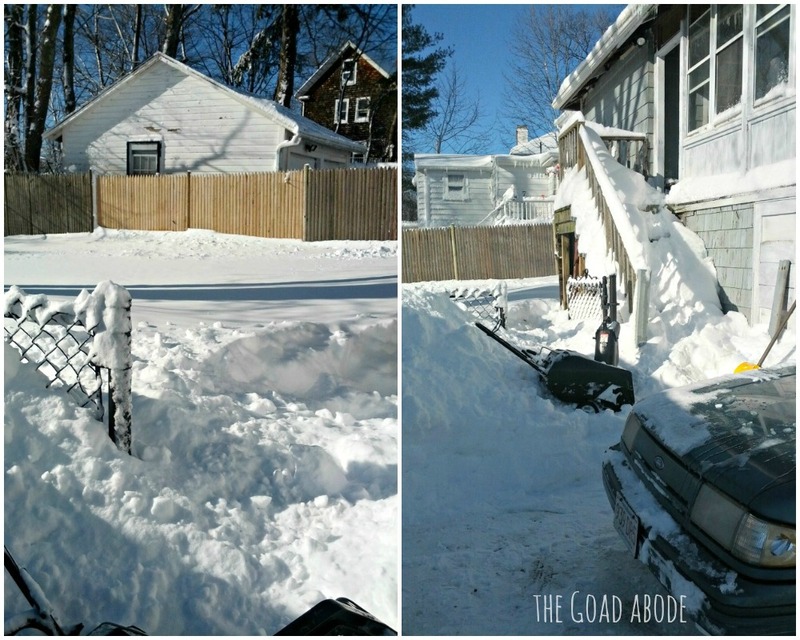 My husband spent much of the day on Saturday clearing the driveway and our roommate was also a big help. I stayed inside; we decided a pregnant lady wouldn't be much help and I didn't want to risk falling. The downtime was a good opportunity to redesign my blog, rearrange our living room and do some baking (I made whole wheat crackers and cocoa brownies). I didn't set foot outside the house from Friday to Sunday morning. Thankfully, we didn't lose power during the storm. The lights flickered a few times Friday night, but we were never without power for more than a minute. On Sunday, we ventured out of the house to get breakfast. 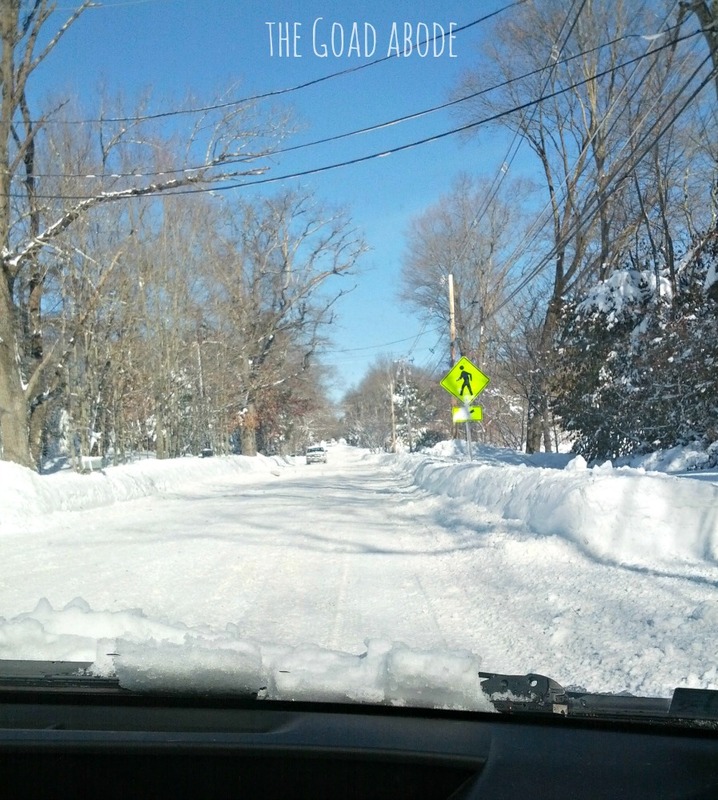 Some of the streets still had a lot of snow on them, while others were completely cleared. I tried to take some photos to document how much snow we had. Most public schools are still closed today. The university where I work is also closed today to allow more time to clean up and prepare for the 6,000+ students that commute to campus daily. I'm quite content to stay inside since it's actually raining today. I'm thankful for the warmer temps to melt the snow, but also a bit concerned about the snow on rooftops absorbing more moisture from the rain. For a long time, I've wondered if I would become a mother. I also found myself believing my value would come from motherhood. I have probably spent more time considering motherhood than any career or job prospect. Before I was even married, I thought about how I could become a mother if I didn't ever marry. I looked at it as something I could control, whereas I wouldn't be able to control if I married. There have been times I bought the lie that I wasn't a 'real woman' because I wasn't a mother. At times, I have been made to feel that I don't understand what being a woman is about because without being a mother, I was missing out on a vital part of the experience. 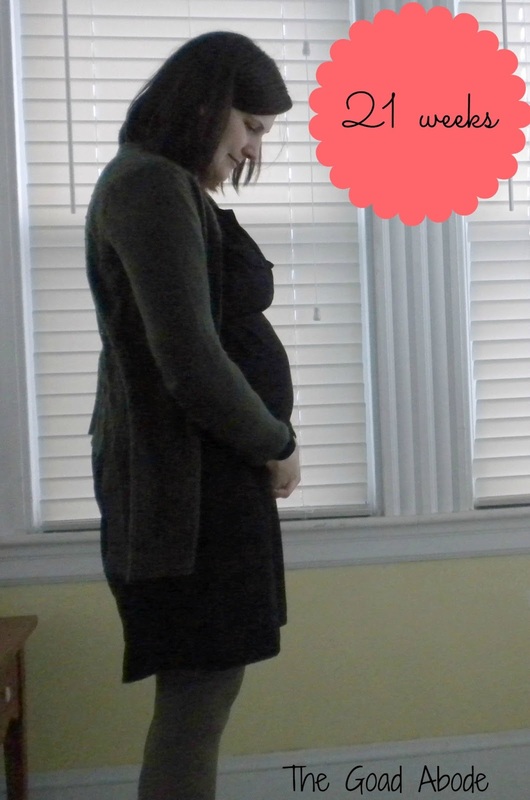 It appears I am on the path to motherhood, being nearly 20 weeks pregnant. While, I eagerly anticipate the joys and trials of this new chapter of life, I am cautious in my actions and words around women who have not walked in my shoes. I want to be sensitive to their hearts, no matter if they yearn for children of their own or have chosen not to be a mother. I wonder what type of mother I will be. Will I be overly cautious or worry that I'm doing the right thing? Right now, I worry that I will forget what life was like before I was a mom, that I will grow insensitive to others, likening every story to my journey of parenthood. Do you know moms like that? I anticipate mothering will change me. But it won't rob me of the past 32 years of life, losing my own mother at the age of 20, moving to two cities on my own as a single woman, falling in love with the man I married and my eight years working full-time in higher education. These things have shaped the woman I am becoming and I'm sure motherhood will shape me in new and valuable ways. As you can see, Dot in the City has changed its name! 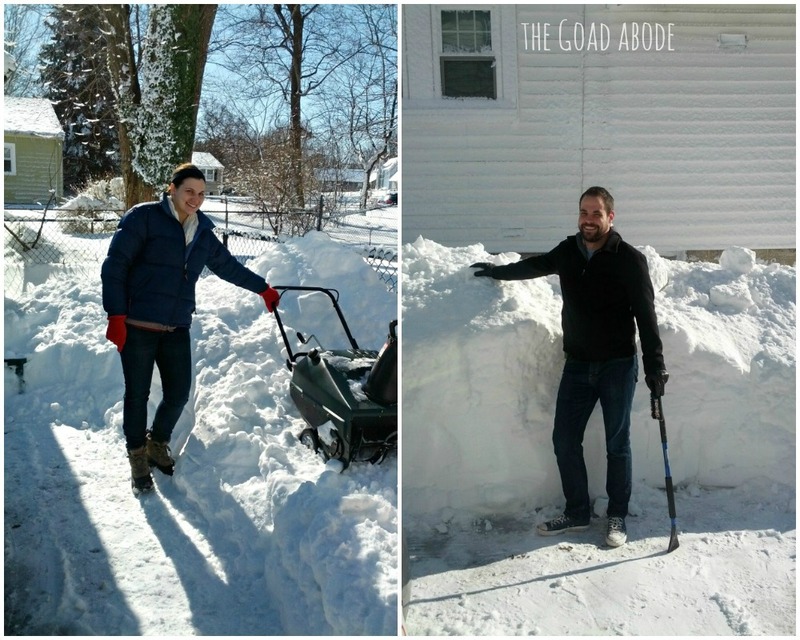 We are now The Goad Abode :) I've thinking about re-branding for a while now and given the extra time with our blizzard conditions decided to just go for it. The name change means my Twitter handle, Facebook page, and Instagram handle have also been updated to match! Pinterest and email are staying the same (for now). What do you think of the new name and banner? The name isn't really new. 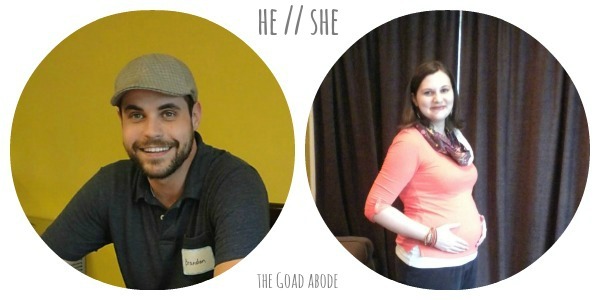 I've been calling our home 'the Goad abode' ever since we got married over two years ago. As I was thinking of a new blog name, it just made sense. As much as the blog is a reflection of me, it's also a reflection of married life, our home improvement projects and so much more! I also wanted to get away from a name that wasn't actually mine: Dot. Whenever someone emails me and says "Hey, Dot" I'm not really sure how to reply. Hope you like the new name and look around here! We're preparing for a storm here in New England. Yesterday, they made the call to close the university where I work for at least days, so I'm enjoying a quiet day at home. The snow started to fall around 9am and they're predicting 12-24 inches in our area once it is done. The past week has been filled with little things to be happy about! Two gifts arrived this week for our sweet baby G. I love these little booties with wings on the heel! And another friend sent me a fleece outfit (not pictured). A year from now, it will be perfect for the little one. We have been trying to do some unplanned and fun dates. A new frozen yogurt place opened up about 15 minutes away, so we hopped in the car at 9pm last Friday and went to check it out! Those are the kinds of things we know will be harder once we have a little one in tow. We went to a Super Bowl party and walking from our car was like a scene from a movie with snow quietly falling and the picturesque street, so I had to take a quick photo! We had an ultrasound on Wednesday and loved seeing the little one's hands open and close. I started to feel movement in the last week and it's been so cool! The week wouldn't be complete without a few cups of homemade hot cocoa. I use 1 cup of milk, 1 tbsp unsweetened cocoa powder, 1 tsp pure sugar cane. I'm linking up with Lindsay of Hello Hue for It's the Little Things! I remember 20 plus years ago when my mom was pregnant with my little brother how she borrowed clothes from friends, but hadn't really heard my friends talk about it. When I got pregnant and finally started telling people, I thought at least one person would offer their stash of maternity clothes to borrow, however the time came to start wearing maternity pants and no one said a word to me about it. 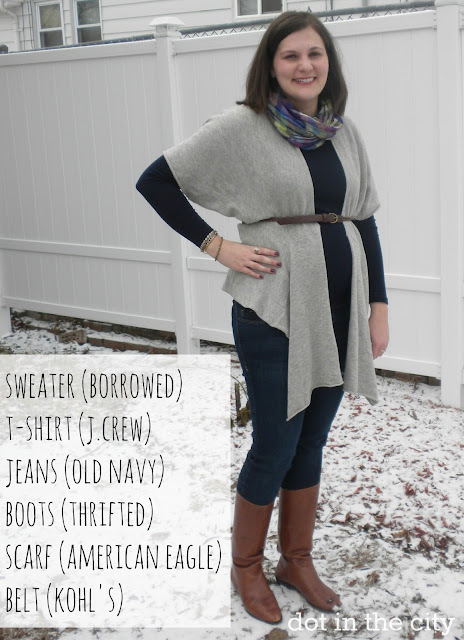 So several weeks ago, I consulted Twitter about the protocol for borrowing maternity clothes. Thanks to some encouragement from Andrea, Virginia, Hannah, and Amber, I went ahead and asked a few friends if they had maternity clothes I could borrow. I wanted to borrow clothes for a few reasons. >> Budget. We have a limited budget and maternity clothes are expensive. 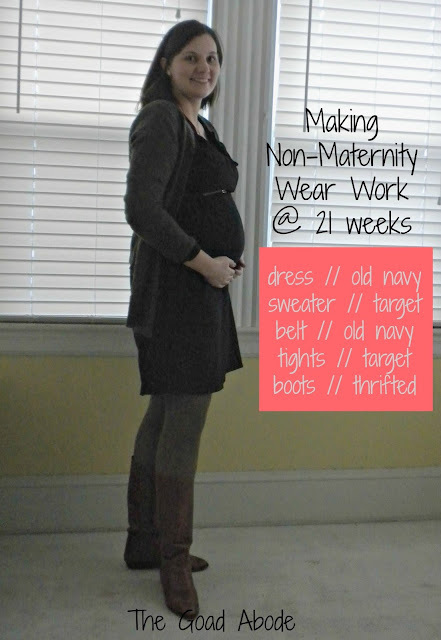 I learned this quickly in my first online perusal of maternity clothing basics. >> Expand my wardrobe. Who doesn't like to have option when it comes to getting dressed? I used to love sharing clothes with my roommates in college. >> Timing. 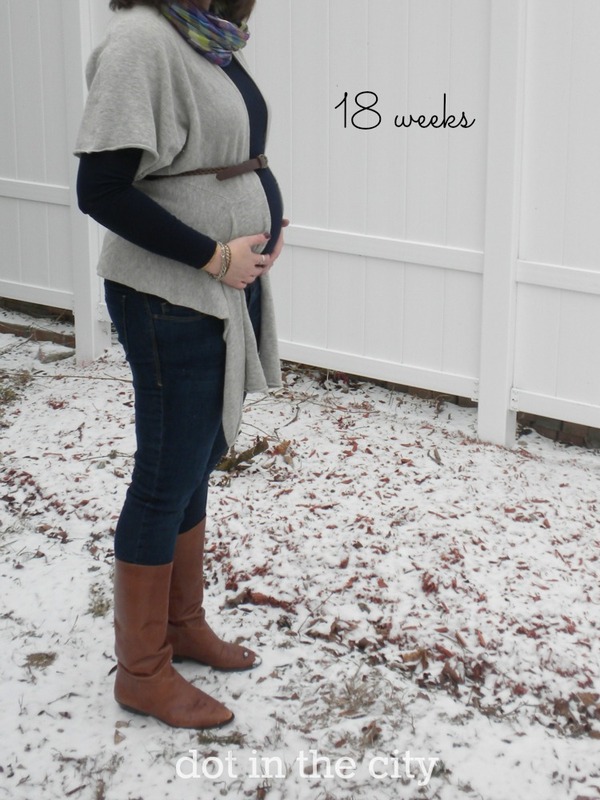 I'm not guaranteed to get pregnant again or be pregnant at the same time of year, so spending money on winter/spring maternity clothes doesn't seem wise (we do want more than one kid). My cousin mailed me a box of maternity clothes since she's done using them. One friend told me she already gave hers away (she'd had a baby last spring) and another had hers and told me she was glad I asked about it. This past weekend, our schedules finally meshed and I was able to pickup the clothes, most of which will be great for the office. Here's how I went about asking to borrow maternity clothes. >> Make a list. I made a list of friends who were close in size. I was mostly concerned about height since I'm slightly taller than average at 5'7" and have long legs (finding pants that are the right length can be a challenge). >> Ask. Most of the friends that made that list aren't friends I see very often (a few times a month or less), so I decided email was the best way to reach out and ask. 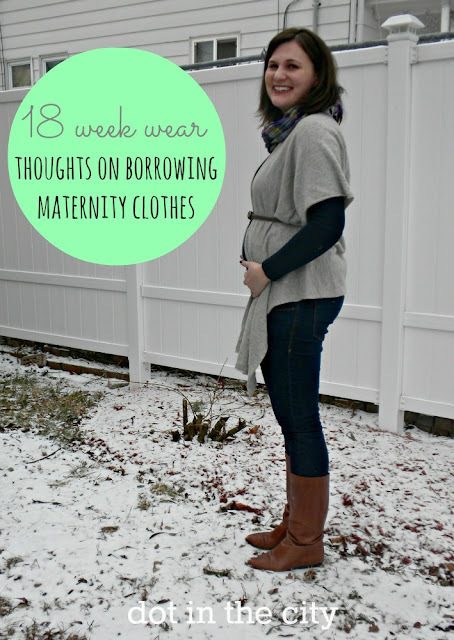 I also mentioned my search in a few conversations that yielded suggestions for where to look for used maternity clothes (not the same as borrowing, but certainly easier on the wallet)! >> Make time. Coordinating schedules can be another hurdle in itself when it comes to actually getting the clothes. Thankfully, friends made time since they knew I was literally running out of pants that fit me! It's only been a few days since my wearable wardrobe nearly doubled in size and I am so grateful! I've found that several of my pre-maternity tops still work, especially when layering a long tank underneath but it's the pants that are making me happy. Having more than one pair of pants and a few skirts to wear to work has been amazing, especially since 30 has been the high and tights don't cut it in those temps! I'm linking up with Lindsey for What I Wore Wednesday! I'm not one who is big on Valentine's Day. Part of me wants to embrace it in a fun way. 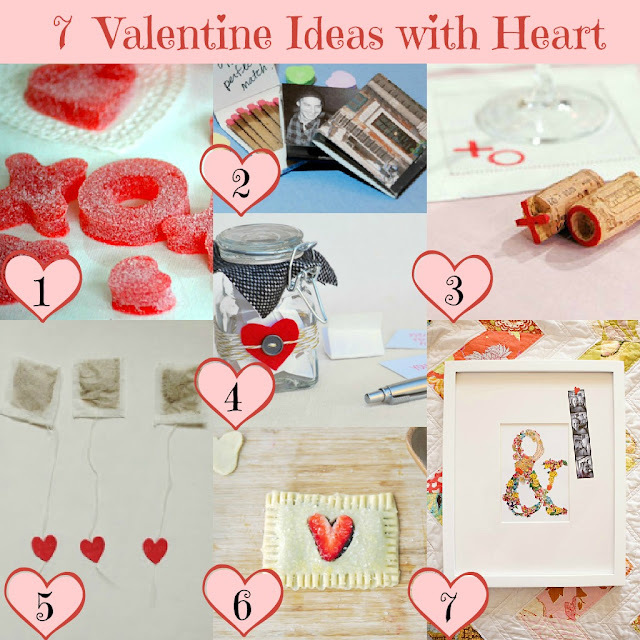 I'd bake tasty heart-shaped treats and decorate the dinner table in red and white. I have dreams of making it a fun holiday for our kids someday by doing crafts to decorate the house in early February and making a special family meal. However, we don't yet have those kids I dream of (though we are getting closer to meeting the first one each day) and our schedule is downright full next week when Valentine's Day actually falls. In this season of life, a simple card, handmade gift or homemade meal is the standard in our home. We don't spend a lot of money on each other or make a big deal out of the commercial holiday, but I have seen some fun Valentine ideas worth sharing! That's right, I'm not here to poo poo Valentine's Day (as I may have done years ago), but to say I'm happy with the season we're in and kind of like the challenge of celebrating love in a less traditional and more economical way. Oh, and will you take a moment to help out my friend, Jen? 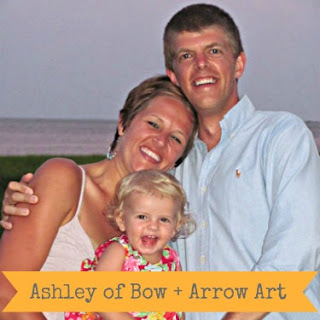 She's a fellow blogger who has been nominated for Navy Spouse of the Year! Today is the only day to vote, so please help her out by clicking on the button below! Last week, my husband outdid himself with a delicious dinner for two. Earlier this winter, he had picked up golden beets at the grocery store and we loved them. They're a little more sweet than a regular beet and are a little easier on the eyes since their flesh is a lovely golden color. He had been wanting to cook fish, so he picked up two small rainbow trout. 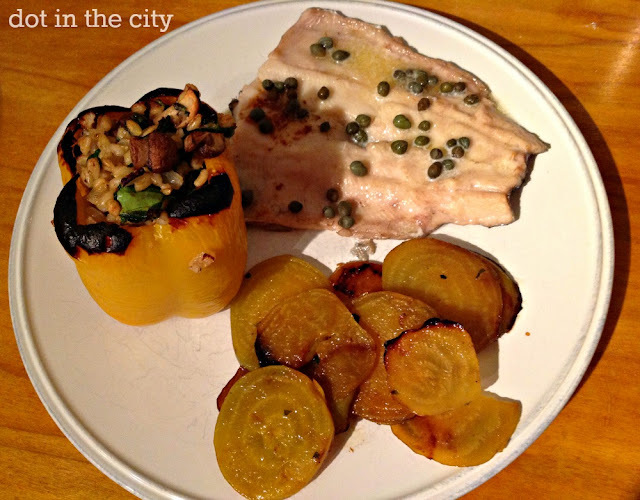 The pairing of fish with the beets was just perfect. 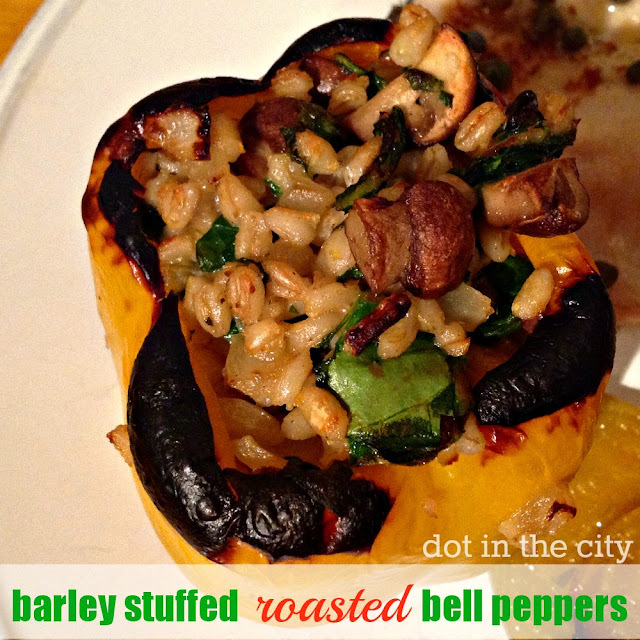 He wanted on to use the beet greens, so he put together the most delicious stuffed roasted bell peppers. The stuffed peppers had such a great flavor, I knew I had to share the recipe, so I made sure to take some photos once he had served up our meal. Remove top and seeds from inside bell peppers. Roast peppers in preheated oven until tender. Saute onion in olive oil until nearly translucent. Add mushrooms and greens, cook until mushrooms are soft and greens are wilted. Add cooked barley to vegetable mixture and heat through. Use barley and vegetable mixture to stuff bell peppers. Broil until brown on top, about 5-7 minutes. Happy Friday! As promised last week, it's time to share your favorite things from the past month and what you're looking forward to in the new month. Ready. Set. Go! I've had some success lately with recipes via Pinterest, such as this vegetarian spicy spaghetti squash with black beans and these chickpea burgers with tahini sauce. And my friend made this loaf of rosemary bread and now I can't stop making it either. In the last week, I've been eating lots of soup, popsicles, and grapefruit as I work to get through this sinus infection. In our home, by going room by room to analyze what we need to get done before July and getting the guest room in order. In preparation for the baby, by creating a baby registry and a pin board. In my Pinterest boards, by going through each one and making sure links work and they make sense. A childbirth book...can't remember the name, but I returned it to the library. 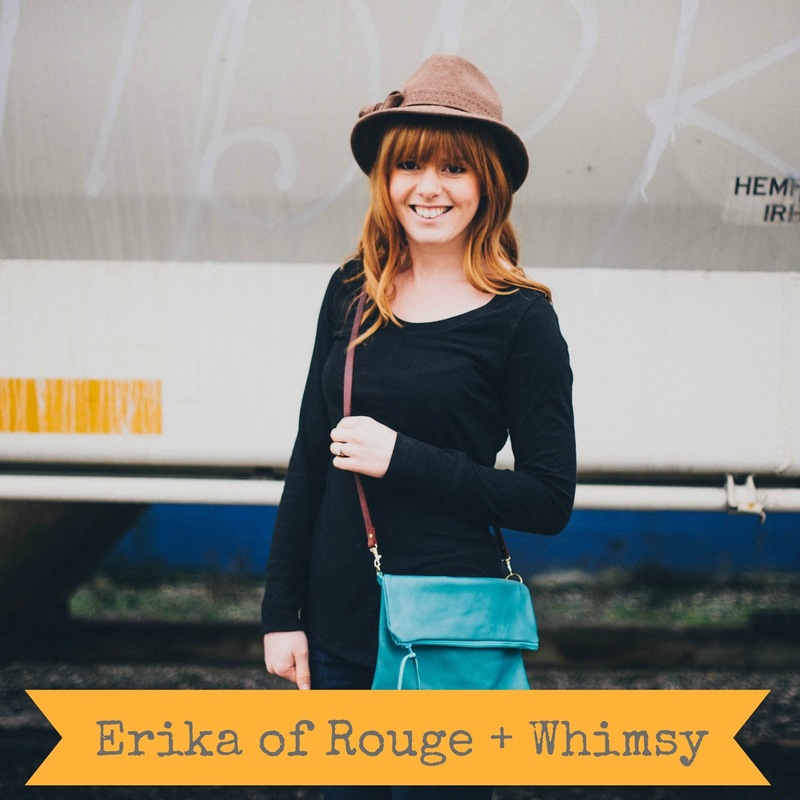 I can't wait to see what made your list this week, so don't forget to linkup with Erika and me!